After that, I decided it was time for me to get my act together! I wanted to create ONE location for all of our bills. Thus, the Bill Binder was born. 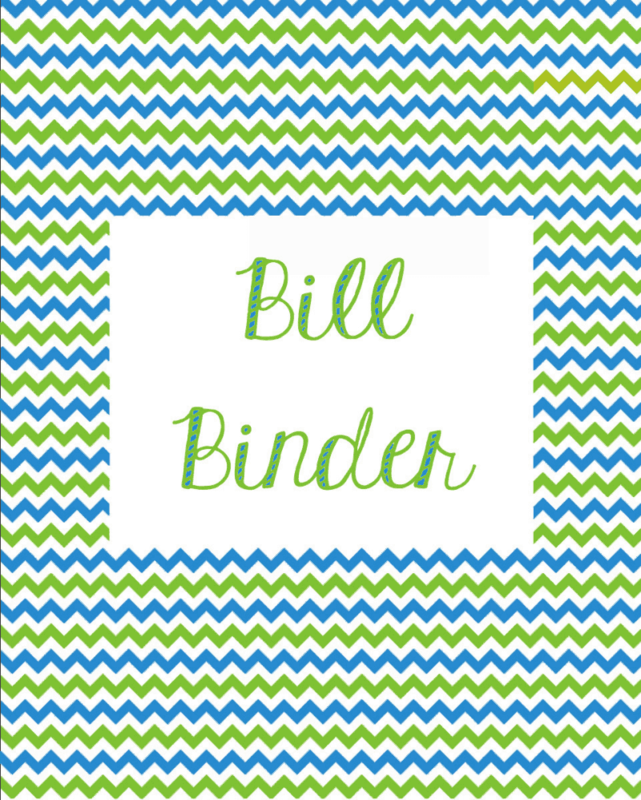 Once I started, I realized that putting a Bill Binder together wasn’t all that difficult or time consuming. I still don’t know why I hadn’t done it sooner! All I had to do was get a 1 inch binder, some pocketed tabs, and the printables. 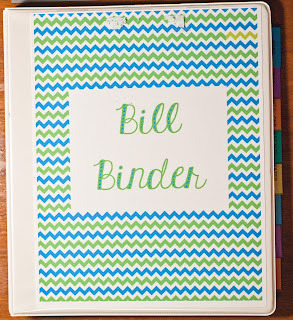 Here is where I got the Binder and the Pocketed Tabs . 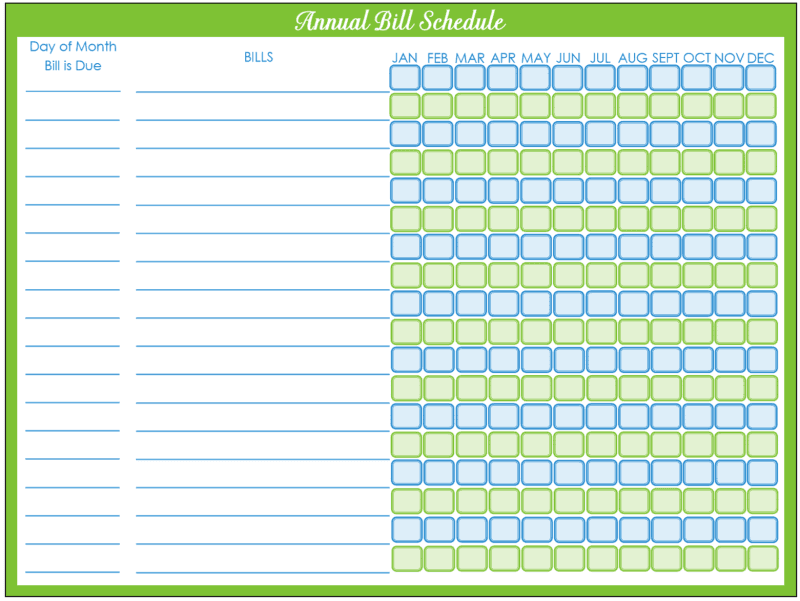 Click Here for my version of this Printable. Or Click Here for the Original Version. 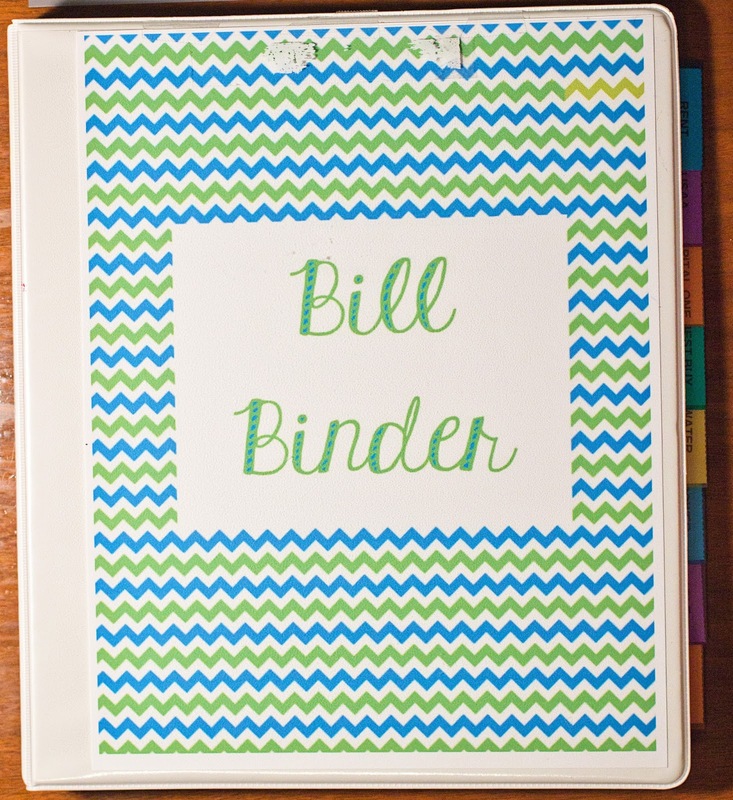 I got the Binder cover page from MommyEdwards and made it my own. 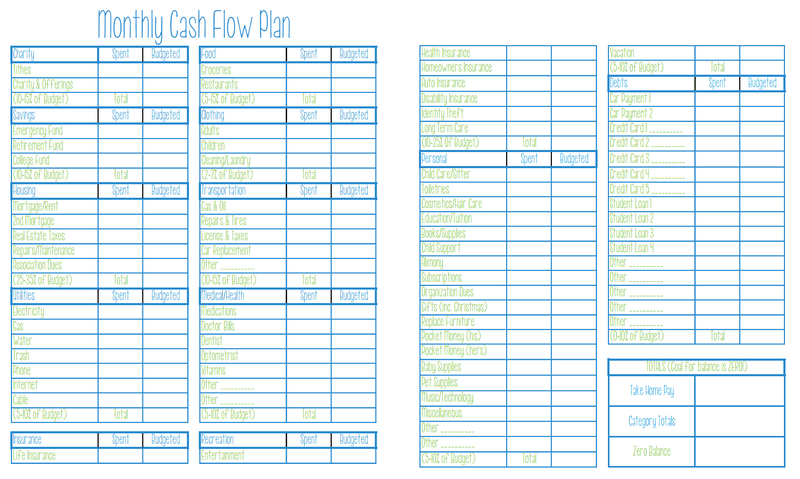 I got the Checklist from Organizing Homelife. 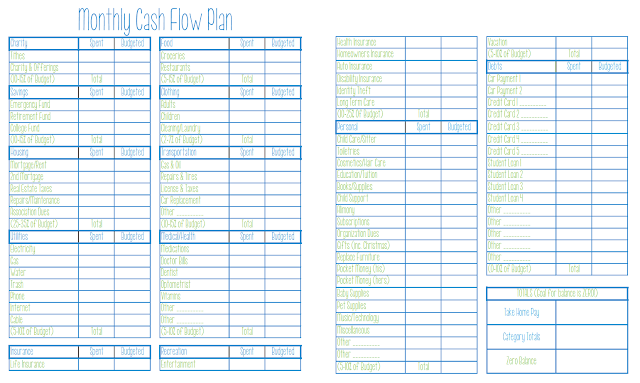 I got the Monthly Cash Flow Plan from Dave Ramsey. If you aren’t already familiar with him, do it now! 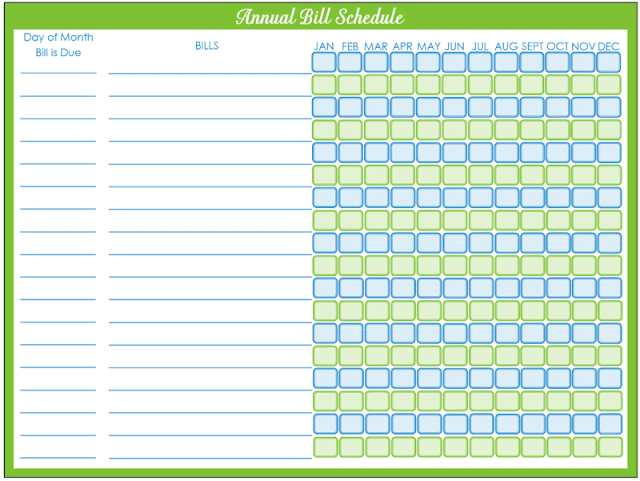 Simply print these forms, put them in your binder along with your pocketed tabs for records/receipts, and fill them out according to your bills/budget! If this worked for you (or if you have a better system), I’d love to hear about it in the comments!